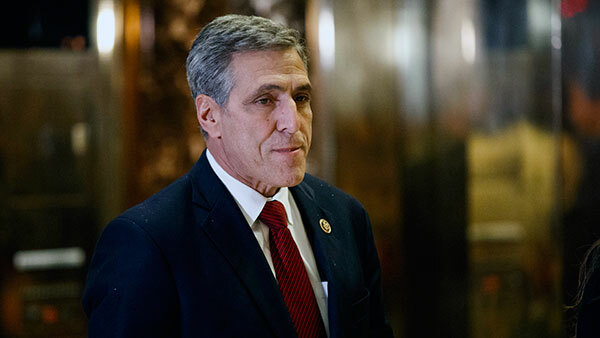 HARRISBURG, Pa. (WPVI) -- Pennsylvania Congressman Lou Barletta has announced his candidacy for U.S. Senate. The Republican representative released a campaign video on Tuesday announcing his run for the seat held by two-term Democrat Sen. Bob Casey. The Pennsylvania Republican's entry into the race was widely expected after The Associated Press reported last month that Barletta had relayed his plans to GOP officials and activists. Barletta, the former mayor of the small Pennsylvania city of Hazleton, rose to political prominence as a foe of illegal immigration. He was an early supporter of President Donald Trump, who urged him to run for Senate.